Teghan Devon, Emily Matteson, and Luke Heffron, at Teghan Devon's "Fingers Crossed" album release show. Download Teghan Devon's Debut Album "Fingers Crossed"
Teghan’s love of the craft that is songwriting began when she was little. She was raised on the ultimate and universal example of great songs: The Beatles (Her parents claim that there is incriminating video of Teghan belting out “The Ballad of John and Yoko” from her booster seat). She started playing guitar and writing songs naturally followed. The first song she learned to play that really made her fall in love with the instrument was “Blackbird”. After that, she was hooked. Teghan is from Maryland but has also lived in California, Texas, Michigan, and Minnesota. She was a student at McNally Smith College of Music in St. Paul before it unexpectedly shut down in December of 2017. Teghan made the best of a bad situation by returning to the twin cities in February of 2018 to record her first full length album “Fingers Crossed” (released on July 6th, 2018). 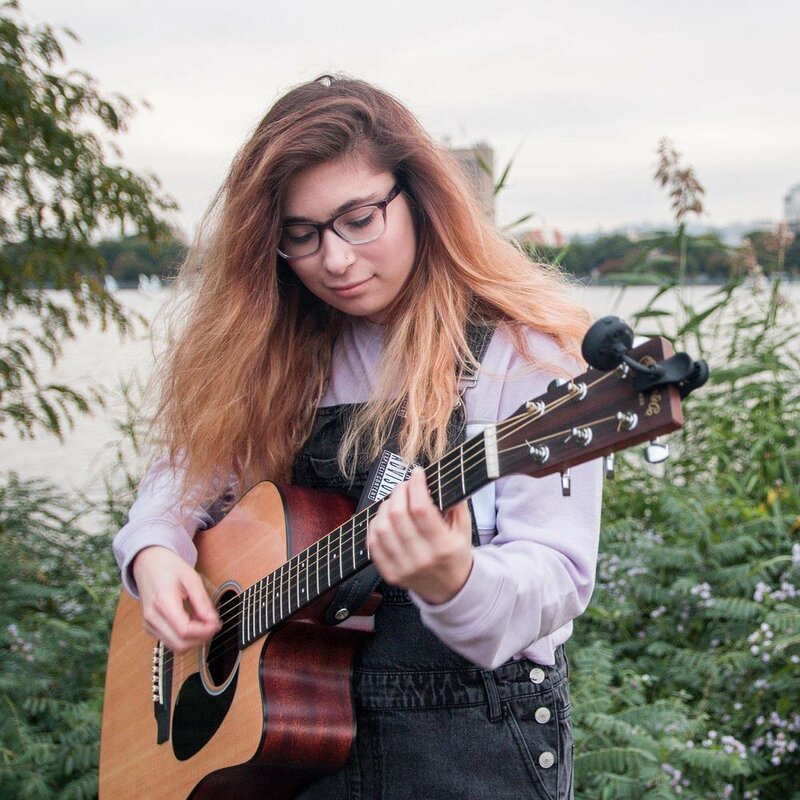 She is currently based in Boston, Massachusetts, attending Berklee College of Music. In the summer of 2017, Teghan was selected as a New Folk Finalist to perform at the Kerrville Folk Festival in Texas. 32 finalists are chosen out of over 600 submissions. Teghan is in good company— past finalists include Lyle Lovett, Lucinda Williams, Shawn Colvin, Steve Earle, and Nancy Griffith, to name a few. Teghan was chosen again the next year as a 2018 finalist as well— the youngest contestant both years. 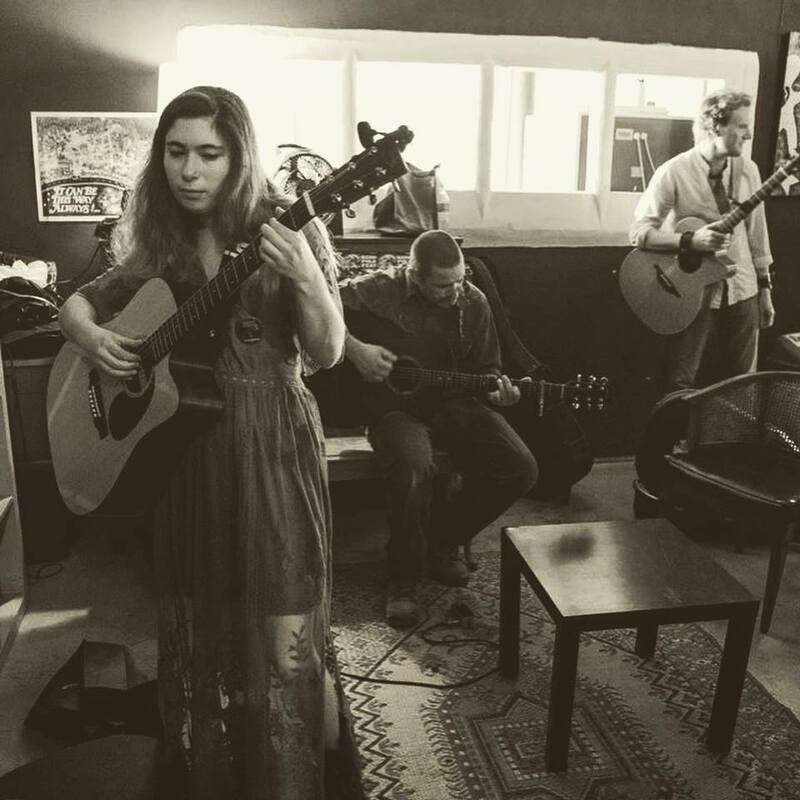 Teghan also was a finalist in the 2017 Great American Song Contest and the 2017 Mid-Atlantic Song Contest, and was awarded honorable mentions in the 2018 Rocky Mountain Folks Festival Songwriter Showcase, the 2017 Telluride Troubadour Contest and the 2016 Mid-Atlantic Song Contest. In the summer of 2016 she performed her original song “No Exception” at the International Summit to End Sexual Violence in New York City. In the 2018 Mid-Atlantic Song Contest Teghan’s songs won 6 awards, including the Silver award in the Pop category and the winner of the Young Artist award. On May 18th, Teghan will be performing on the singer-songwriter stage at Wildflower Arts and Music Festival in Richardson, TX.